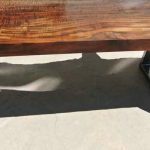 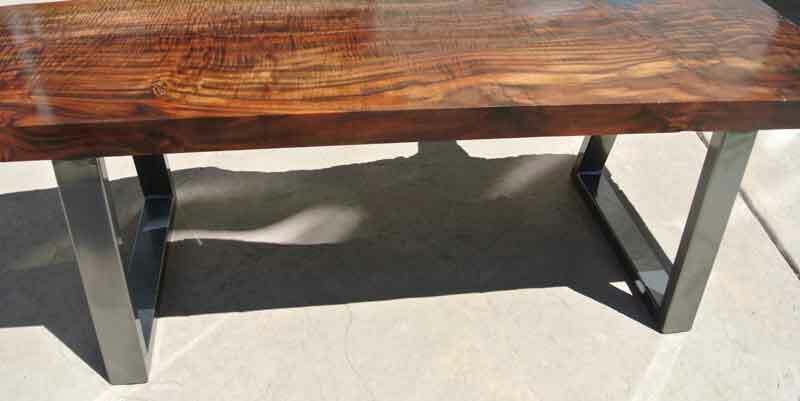 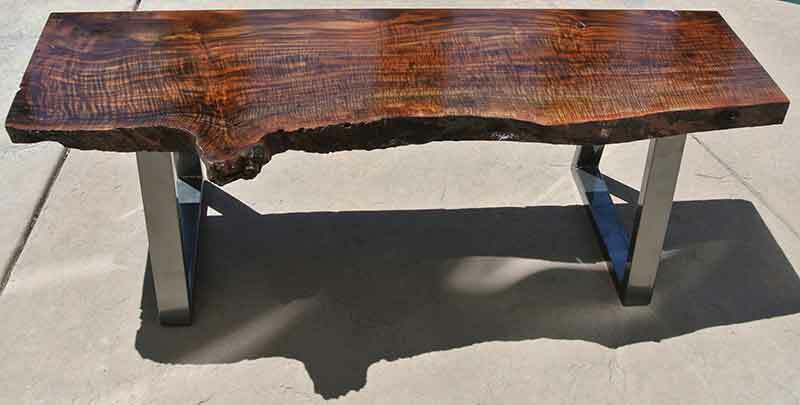 We made this coffee table using a slab of our highly figured Claro Walnut and a small sled base made from square tubing. 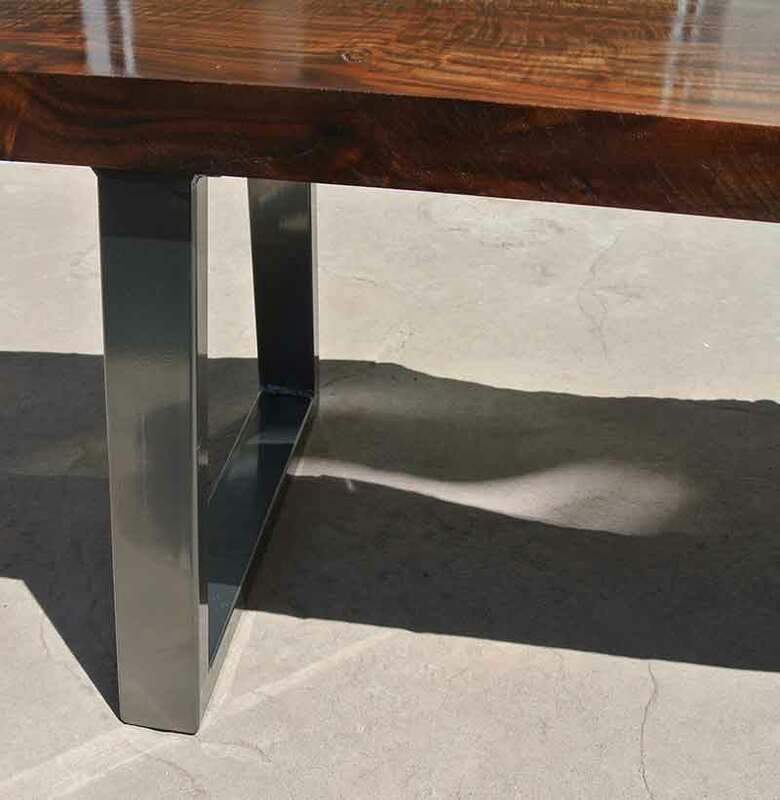 The base was powder coated with a black smoke color, which really look sharp. 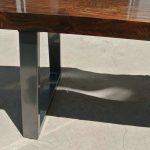 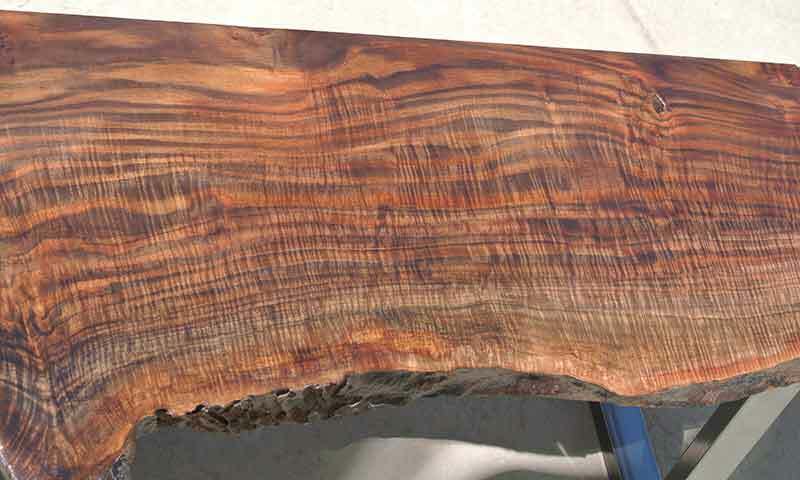 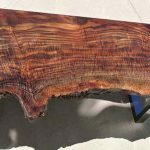 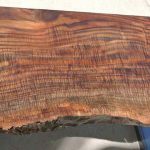 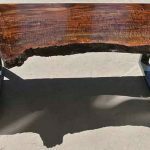 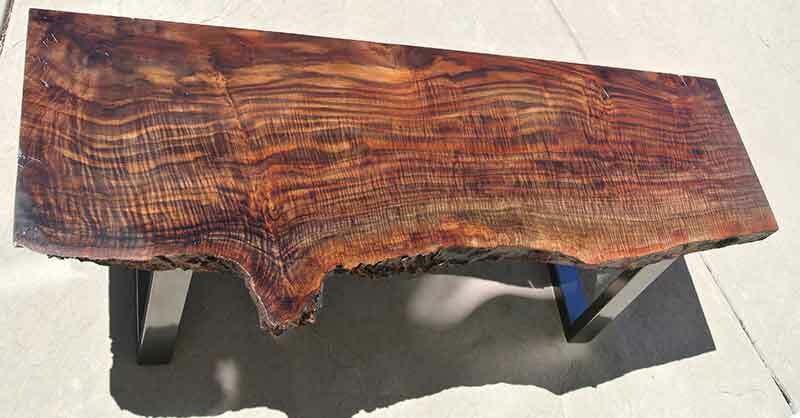 There is something about using highly figured Claro Walnut for furniture that turns it from a nice piece to a “SHOW STOPPER”!